On 13 March 2019, the United States (US) Department of State released its Country Reports on Human Rights Practices for 2018. 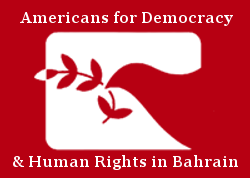 Americans for Democracy & Human Rights in Bahrain (ADHRB) is deeply concerned that, while the report continues to detail a range of US human rights concerns in Bahrain and Saudi Arabia, the State Department has refused to implement new policies or take concrete action to address these serious abuses and hold the responsible parties accountable. We further remain concerned that the State Department report omits several events and human rights abuses that occurred in Saudi Arabia and Bahrain in 2018. The US State Department’s Country Report on Human Rights Practices for Bahrain documents a wide range of serious abuses including “allegations of torture; arbitrary detention; political prisoners; arbitrary or unlawful interference with privacy; restrictions on freedom of expression, the press, and the internet, including censorship, site blocking and criminal libel; substantial interference with the rights of peaceful assembly and freedom of association, including restrictions on independent nongovernmental organizations (NGOs) from freely operating in the country; significant restrictions on freedom of movement, including bans on international travel and revocation of citizenship; and restrictions on political participation, including the banning of former members of al-Wifaq and Wa’ad from standing as candidates in the elections.” Despite acknowledging these human rights violations in their report, the State Department has largely failed to take measures to address these concerns in their relationship with the Bahraini government. Notably, in January 2019, Secretary of State Michael Pompeo traveled to Bahrain and met with various leaders and high-level officials, yet failed to make any public mention of human rights concerns. Instead, Secretary Pompeo undeservingly praised the Bahraini government for its support for religious coexistence and freedom of religion. During Secretary Pompeo’s visit to the kingdom he also praised the conclusion of Bahrain’s parliamentary elections, which took place in November 2018 and were welcomed by the State Department – touting Bahrain’s “commitment to an inclusive, peaceful, and democratic political process.” Bahrain’s Country Report tells a strikingly different story – describing an environment far from conducive to free and fair elections. The report highlights how “two formerly prominent opposition parties, al-Wifaq and Wa’ad, did not participate in the elections due to their dissolution by the courts in 2016 and 2017, respectively” and the government “did not permit international election monitors.” The report also mentioned how the Bahraini government acknowledged “holding several dozen high-profile individuals, including leaders or prominent members of formerly legal, now banned political societies and organizations and others who were publically critical of government institutions or government actions prior to their arrests.” The report referenced the case of Sheikh Ali Salman, Secretary General of one of the dissolved opposition societies, who was sentenced to life in prison weeks before the elections. Additionally, boycotting the 2018 elections were criminalized, with the report citing the case of Ali Rashed al-Asheeri, a former Bahraini parliamentarian who was detained for tweeting his intention to boycott the elections. Though the State Department’s report addressed some of the most severe abuses in Bahrain, it also omitted issues, including claiming there were no cases of enforced disappearances reported during the year. ADHRB has documented at least four individual cases of enforced disappearances for 2018: Mohamed Ahmed Mohsen was disappeared for a day in February, Fatema Dawood Juma and Zakeya Isa AlBarboori were both disappeared for a period of roughly 36 days between May and June, and another individual was disappeared for nine days in July. While the State Department’s Country Report for Bahrain largely echoed several of our concerns surrounding the human rights situation in the country, it means nothing if the State Department refuses to raise these concerns directly and publicly with high-level Bahraini officials and does not take steps towards implementing policies to eradicate – rather than intensify – the ongoing abuses. The State Department’s 2018 report addressed ongoing human rights violations and concerns in the Kingdom of Saudi Arabia, including “unlawful killings; executions for nonviolent offenses; forced renditions; forced disappearances; and torture of prisoners and detainees by government agents.” The report reiterated previous concerns for the use of arbitrary arrest and detention, including that of political prisoners, and ongoing repercussions facing government critics and activists under the restrictive counter-terrorism and anti-cybercrime laws. The report further highlighted ongoing discrimination against women in many aspects of Saudi civil and political society and the lack of access for independent human rights monitoring bodies. Despite overview of key human rights issue areas in Saudi Arabia, ADHRB is deeply alarmed over the State Department’s glaring lack of acknowledgement of abuses involving members of the Saudi royal family and of the only minor attention given to the murder of Washington Post columnist Jamal Khashoggi. The State Department remained critically focused on Saudi Arabia’s gender discrimination, noting that the kingdom’s male guardianship system remained intact. The State Department again highlighted the increase in women’s political participation in the 2015 elections and noted oppressive family laws and laws around gender-based violence that continue to be discriminatory. While the driving ban on women was lifted in June 2018, a wave of arrests in May 2018 targeted women’s rights activists including Loujain AlHathloul, Samar Badawi, and others. The report further detailed torture some of the detained activists were subjected to by Saudi officials. However, the report failed to address the incommunicado detention of some of these women, despite labeling incommunicado detention as a problem. The report further neglected to state that torture often coincides with periods of incommunicado detention, as it did in its 2017 report, as evidenced by ADHRB. The report noted civilian casualties in Saudi-led coalition attacks in Yemen and criticism from international observers describing airstrikes as causing “disproportionate collateral damage,” but the country report largely referenced attacks led by the Houthis rather than details of attacks and abuses by the Saudi-led coalition. The report further omitted the ground offensive attacks by the Saudi-led coalition on the port city of Hodeidah in June 2018 from the Saudi Arabia country report – these attacks are mentioned in the Yemen country report. While still noting a handful of abuses committed by coalition forces in the Saudi Arabia country report, it failed to address some of the coalition’s major abuses, including airstrikes damaging a Doctors Without Borders cholera treatment center in June 2018, and redirected to the Yemen country report for further information on abuses by the Saudi-led coalition. The report further failed to address the targeting of human rights defenders working in Yemen by Saudi-led coalition officials. In addition to ongoing abuses committed in the war in Yemen, arbitrary arrests, detentions, and executions remained a widespread and systematic problem in the kingdom during 2018. Unfair trials remained a problem, and the Specialized Criminal Court (SCC) continued to use confessions obtained through torture as evidence for conviction in trial. Violations of the right to fair trial persisted, including in cases involving capital punishment. The report excluded note of a decision by UN experts issued during the 20th Session of the UN Committee on the Rights of Persons with Disabilities (CRPD) on the case of Munir AlAdam, which called for investigation into allegations of torture. The use of the capital punishment remained pervasive, and the report noted the transfer of the case of Abbas AlHassan to the Presidency of State Security (PSS) in 2018 and his risk of execution. The report failed to mention the case of Israa AlGhomgham, who had previously been facing the death penalty under charges relating to peaceful activism – reports have since stated that she no longer faces capital punishment, but her case saw widespread international advocacy against the death sentence throughout 2018. The government continued to target and arrest human rights defenders, journalists, dissidents and others through the 2014 Counterterrorism Act (amended in 2017), vague regulations under the Basic Law, and the anti-cybercrime law. While addressing a vast array of systematic abuse in Saudi Arabia, the State Department’s report omitted critical information surrounding Crown Prince Mohammed bin Salman (MbS) – the Crown Prince was mentioned only twice in the 59-page country report on Saudi Arabia’s human rights record in 2018, but has largely been at the epicenter of multiple human rights violations cited in the report. Jamal Khashoggi’s brutal murder in the Saudi consulate in Turkey – confined to one paragraph – is detailed in summary, including his targeting for criticism of the government and the progress of the investigation into his death. While the report notes that the Public Prosecutor’s Office (PPO) indicted 11 suspects on 15 November, sought the death penalty against five on charges of murder, and that the government dismissed high-level government officials involved in the murder from their posts, the report omits further information into the investigation or prosecution of these high-level officials, some of whom maintain close ties to the Crown Prince. The State Department’s report further fails to include any mention of a CIA assessment on the likelihood of involvement by MbS in Khashoggi’s killing, perpetuating the US administration’s weak approach to accountability for Khashoggi’s murder and the royal family’s role in human rights violations. Mention of MbS is almost entirely excluded throughout the report, including the November 2017 detentions of Saudi princes, businessmen, and government officials in Riyadh’s Ritz Carlton, which led to the hospitalization of seventeen detainees and the death of one in relation to physical abuse, according to reports from March 2018. The report fails to mention the implementation of such a crackdown just months after MbS was appointed Crown Prince and began heading an anti-corruption campaign in the kingdom. The only reference to the Crown Prince’s involvement pertains to a quote on the number of individuals still being questioned. The report further failed to note the correlation between the mass wave of arrests of women’s right-to-drive activists just before the lift of the driving ban on women, another of MbS’s reform projects. Given the developments in Saudi Arabia’s human rights record in 2018, the State Department’s report does not sufficiently address a major deterioration in human rights conditions in the kingdom. The report ultimately fails to take a critical stance and continues to emulate wider State Department avoidance of criticism of Crown Prince Mohammed bin Salman. The report wholly omits any implication that major events marking deterioration in human rights have occurred under the oversight of the Crown Prince, signaling that the US diplomatic branch is continuing to prioritize US-Saudi relations over human rights. ADHRB calls on the US Department of State to take a more critical stance on Saudi Arabia and assess diplomatic ties with the kingdom. Saudi Arabia is the largest country in the Arabian Peninsula. The kingdom imposes extreme restrictions on basic human rights like free expression, association, assembly, and belief. In 2011, Saudi Arabia experienced political turmoil in its Eastern Province, home to most of the country’s marginalized Shia Muslim minority. The authorities used torture, arbitrary detention, and extrajudicial killing to put down the demonstrations and suppress dissent. Read more here.